Decks – Here Come the Painters! 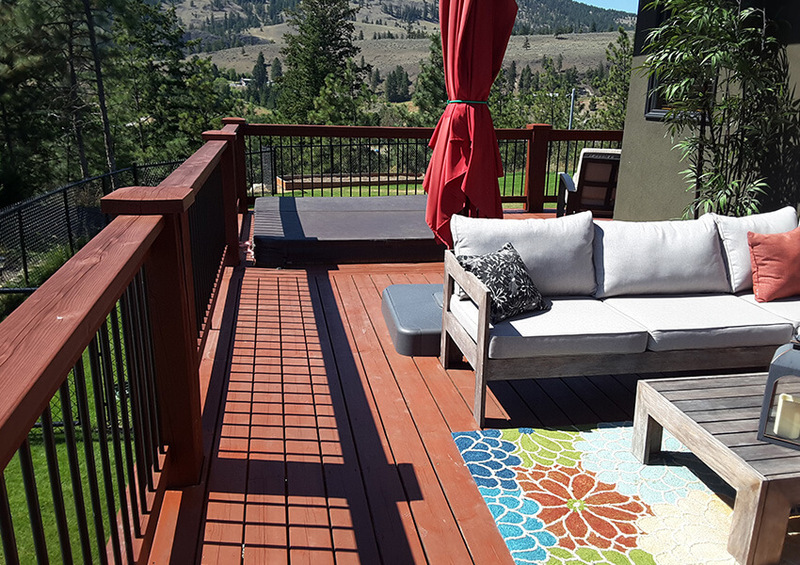 All wood decks should be stained to protect the wood from ultraviolet sun damage and moisture damage. 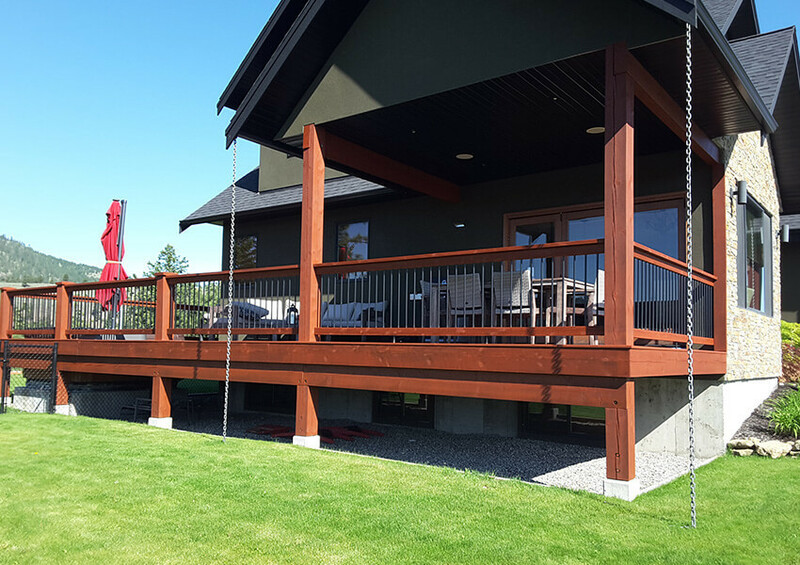 This will prevent your deck from weather damage including checking and cracking. 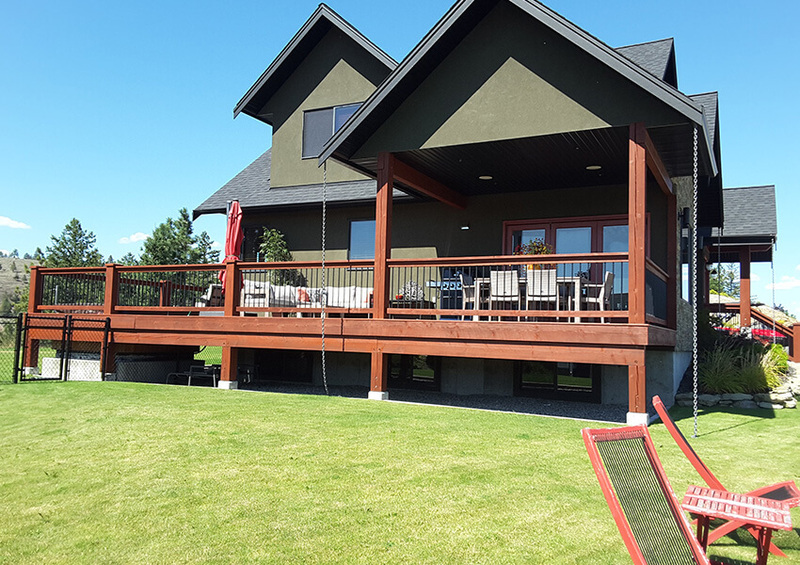 It is always recommended that a high-quality water or oil-based stain is used rather than just a sealer, as sealers only protect the wood from moisture and don’t protect the wood from checking and cracking when the wood dries out. Our first task is to make sure the deck is clean and dry before staining. Depending on conditions (material and weather), this can take a few days and involve scrubbing, sanding, and washing. Sealing and staining come next and, unlike interior painting, are subject to weather for best results. Temperatures must be within the paint manufacturer’s specification and direct sun or rain will delay the proceedings. We never ignore these setbacks to timelines as the quality of the finished job is always our highest priority.